At Nick Clegg’s recent keynote speech in London today Judith Bunting asked what the government could do to further encourage the development of our science, technology and research industries of the M4 Corridor. Nick Clegg was glad to acknowledge the importance of the technology industry to the economic recovery of Britain. With reference to the speech made by Judith Bunting at Federal Conference, last year, he emphasised the importance of getting reliable broadband coverage extended to the whole of the UK. In his speech, earlier, Nick said, “If this parliament was about reviving the economy, the next will be about rewiring the economy”. 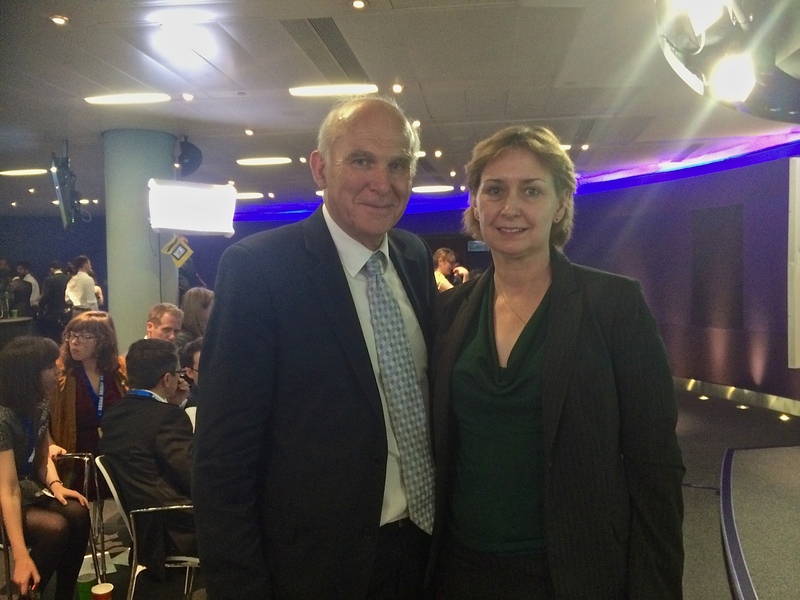 Nick also celebrated Vince Cable’s work in promoting the teaching of engineering, electrical and technical skills in FE Colleges and the establishment of the Apprenticeship and the Higher Apprenticeship schemes in which companies sponsor students to take technical education to degree level.